↑ 2,0 2,1 2,2 2,3 2,4 2,5 German National Library, Berlin State Library, Bavarian State Library et al. Record #116425741 // Gemeinsame Normdatei — 2012—2016. 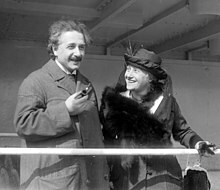 ↑ 4,0 4,1 4,2 Short life history: Elsa Einstein.